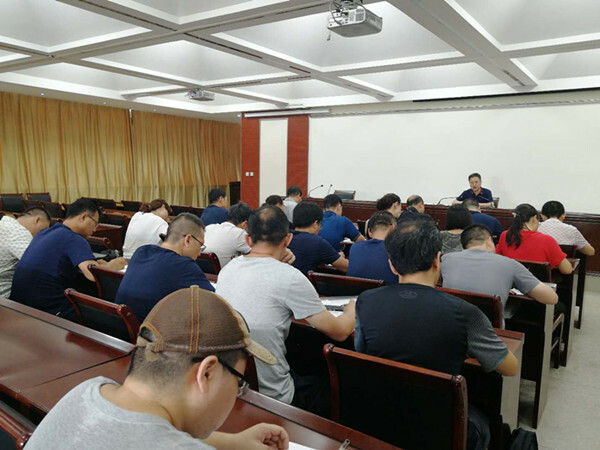 On the morning of January 16th, President Xue Yaowen gave a lively lecture on management in Conference Room 1515, focusing on strengthening the “Three―basic Construction” and doing a good job in assessing the target responsibility system of secondary units. All the party members and cadres in charge attended the lecture. President Xue emphasized that the assessment of the secondary units is an important part of strengthening the“Three-basic Construction”. Doing a good job in basic work and improving basic capabilities are realized through assessment. On how to do the assessment work well, Xue explained from two levels: functional offices and departments. For the functional office, they will be assessed from the following three aspects: the common work, professional work, and characteristics and innovation. Common work includes four items: ideological construction, work style, honesty and self-discipline, and daily management. Professional work is divided into routine work, key work and temporary assignments. Characteristics and innovation is the highlight of the department. For the departments, they will be assessed from the following six aspects: the personnel training, scientific research, faculty building, student management, the work of Party building, daily management and efficiency. And each aspect has specific and detailed indicators which will be assessed quantitatively. The assessment results are directly linked with the income of teaching staff.